West Coast Seeds offers its guidelines to companion planting to you as suggestions keeping in mind, each garden is unique and all of the factors should go into consideration while planning your garden, including but not limited too sun exposure, weather, ecology, pollinators, insect population, the soil, water supply and historical plant and harvest productivity and planning as well. West Coast Seeds has conducted significant research into the companion planting guidelines and has defined the best possible results and reasons for each of our recommendations in our companion planting chart, below are a few thoughtful suggestions for you while planning your garden this year. Minimizing Risk: Increases odds of higher yields even if one crop fails or you are effected by natural hardships such as weather, pests or disease, the overall yield of your plot may be increased by limiting the spread and avoiding a monoculture instead focus on polyculture or mimicking the best natural growth patterns and diversity. Crop Protection/ Shielding: Companion Planting can offer a more delicate plant shelter from weather such as wind or sun by growing beside another plant which can shield and protect while itself having a natural defense against the harsher conditions. Trap Cropping: Companion planting is also the ultimate organic pest management, you may keep away unwanted pests that may be attracted to one crop but repelled by the other and this will assist in protecting the otherwise attractive prey, this is referred to as trap cropping. Positive hosting: By planting in proximity to plants which produce a surplus of nectar and pollen, you can increase the population of beneficial insects that will manage your harmful pest population. Agastache – Very attractive to bees. 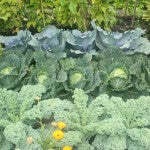 Plant a row away from the garden to lure cabbage moths away from Brassica crops. Do not plant near radishes. Alyssum – Very attractive to pollinators, and useful as a mulch to keep weeds down between rows. Alyssum provides shelter for ground beetles and spiders. See also Companion Planting with Umbelifers. 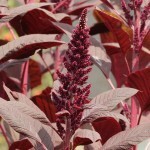 Amaranth – Plant with corn to shade the soil and retain water. Attracts predatory ground beetles. Ammi - This beautiful flower attracts lacewings, ladybird beetles, and parasitic wasps. 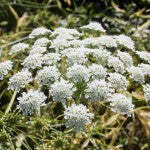 Plant Ammi as a general pest control plant in your garden. See also Companion Planting with Umbelifers. Asparagus – Plant with asters, basil, cilantro, dill, cilantro, marigolds, nasturtiums, oregano, parsley, peppers, sage, and thyme. Asparagus repels nematodes that attack tomatoes, and tomatoes repel asparagus beetles. 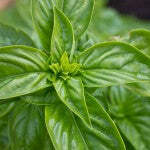 Basil – Will improve vigour and flavour of tomatoes, planted side-by-side. Also good with asparagus, oregano, and peppers. Basil helps repel aphids, asparagus beetles, mites, flies, mosquitoes, and tomato horn worm. 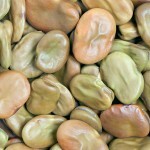 Broad beans – Excellent for fixing nitrogen in the soil. Avoid planting near onions. Bush & Pole beans – All beans fix nitrogen in the soil. Plant with Brassicas, carrots, celery, chard, corn, cucumber, eggplant, peas, potatoes, radish, and strawberries. 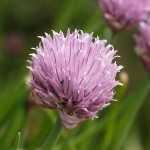 Avoid planting near chives, garlic, leeks, and onions. Pole beans and beets stunt each other’s growth. 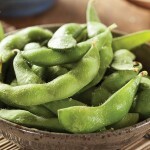 Soya beans – Good for fixing nitrogen, and acting as a mulch against weeds. Grow with corn. Soya beans repel Japanese beetles and chinch bugs. Beets – Beet greens and scraps are very good for the compost, returning captured manganese and iron to the soil via the composting process. Plant with bush beans, Brassicas, corn, garlic, kohlrabi, leeks, lettuce, and mint. Add cut mint leaves as a mulch for beets. Avoid planting beets near pole beans. 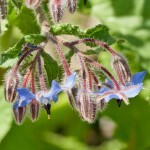 Borage – Excellent all around companion plant. Borage deters tomato hornworm and cabbage moth caterpillars, and is particularly good planted near tomatoes and strawberries. Borage is very attractive to pollinators, so plant it around squash, melons, and cucumbers for improved pollination. It's also excellent for the soil and compost. Borage is deer-proof. Brassicas (broccoli, Brussels sprouts, cabbage, cauliflower, collards, kale, kohlrabi, turnip) – All benefit from chamomile, dill, mint, rosemary, and sage. Avoid planting near eggplants, peppers, potatoes, or tomatoes. These four plants are in the Solanum family, and they all prefer fairly acidic soil at pH 5.5-6.5, while Brassicas want more neutral soil at pH 6.5-7.0. 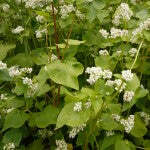 Buckwheat – Fixes calcium in the soil, and makes an exceptionally good green manure plant. Buckwheat absorbs nutrients that are not available to other plants, and can then be composted or tilled under, releasing those nutrients in accessible forms. Buckwheat flowers are attractive to pollinators as well as beneficial predatory insects: hover flies, pirate bugs, tachinid flies, and ladybird beetles. It provides shelter for ground beetles. 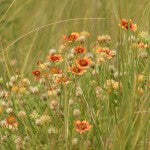 Calendula – Repels a number of unwanted soil nematodes and asparagus beetles, but may attract slugs. Plant Calendula with tomatoes and asparagus. 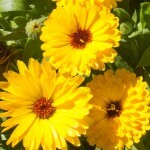 Calendula attracts a wide range of pollinators because it provides nectar over the whole growing season. Carrots – Plant with beans, Brassicas, chives, leeks, lettuce, onions, peas, peppers, pole beans, radish, rosemary, sage, and tomatoes. Avoid planting with dill, parsnips, and potatoes. Generally speaking, it's a good idea to keep some space between root crops so they don't compete for available phosphorus. 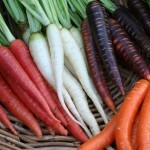 Carrots planted near tomatoes may have stunted roots, but will have exceptional flavour. Chives also benefit carrots. 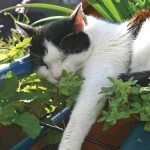 Catnip – Attracts pollinators (and cats! ), and parasitic wasps. 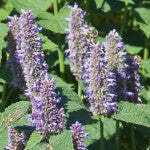 Catnip repels aphids, asparagus beetles, Colorado potato beetles, and squash bugs. 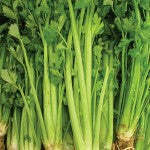 Celery – Good partner for beans, Brassicas, cucumber, garlic, leek, lettuce, onion, and tomatoes. 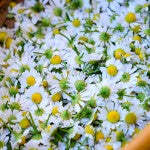 Chamomile – Attracts hoverflies and parasitic wasps. Plant near onions to improve their flavour. 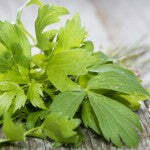 Chervil – Excellent companion for Brassicas, lettuce, and radishes, but does best in part shade. 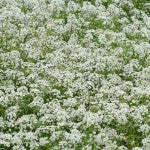 Chervil helps to repel slugs and attract parasitic wasps. See also Companion Planting with Umbelifers. Chives – Improves the flavour of carrots and tomatoes. A companion plant for Brassicas. Helps to repel aphids, carrot rust fly, and Japanese beetles. Avoid planting near beans and peas. 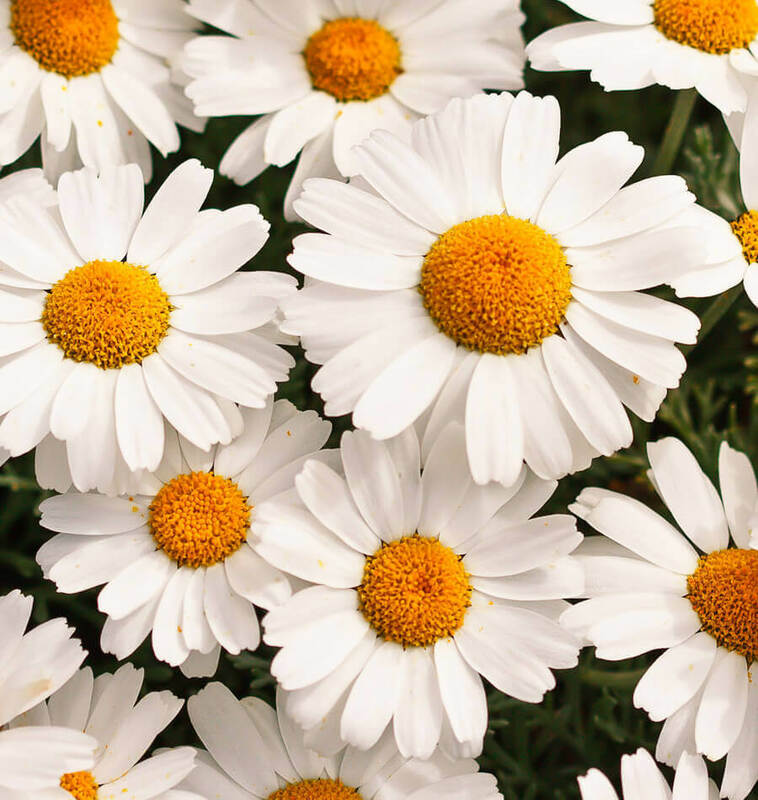 Chrysanthemum – White flowering mums repel Japanese beetles. All Chrysanthemums are attractive to tachinid flies and parasitic wasps. 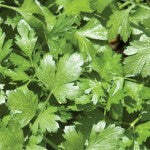 Cilantro – Repels aphids, potato beetles, and spider mites. See also Companion Planting with Umbelifers. 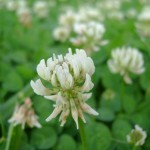 Clover – Attracts many beneficial insects and builds the soil. Helps fight cabbage worms, and increases the number of predatory ground beetles. 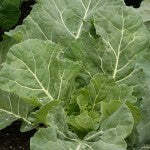 Collards – Plant near tomatoes, which repel the flea beetles that so often look for collards to eat. 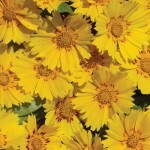 Coreopsis - This plant attracts pollinators, but also hoverflies, soldier bugs, and tachinid flies. 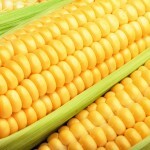 Corn – Companion to beans, beets, cucumber, dill, melons, parsley, peas, potato, soya beans, squash, and sunflower. Avoid planting next to celery or tomatoes. Amaranth makes a great mulch between rows by competing with weeds and conserving ground moisture. Cosmos - This annual provides food and habitat to parasitic wasps, tachinid flies, lacewings, hoverflies, minute pirate bugs, spiders, ladybird beetles, big-eyed bugs, damsel bugs, and other predatory insects. 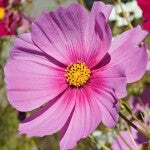 Cosmos can be direct sown from early March to the end of June in our region so that it blooms continuously throughout the summer. Deadhead spent flowers to extend each plant's bloom time. 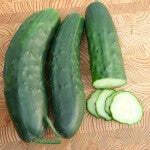 Cucumber – Plant beside asparagus, beans, Brassicas, celery, corn, dill, kohlrabi, lettuce, onion, peas, radish, and tomatoes. Avoid planting near potatoes and sage. Both corn and sunflowers can act as a trellis for cucumbers to good effect. Dill will help cucumbers by attracting predatory insects, and nasturtiums will improve the flavour and growth of cucumbers. Dill – Dill improves the health of cabbages and other Brassicas, and is a very good companion for corn, cucumbers, lettuce, and onions. Avoid planting near carrots and tomatoes. Dill attracts ladybird beetles, parasitoid wasps, hoverflies, bees, and garden spiders, making it one of the most useful companion planting candidates. See also Companion Planting with Umbelifers. Echinacea - These perennial coneflowers attract hoverflies and parasitoid wasps, so they're useful for pest control in companion plantings. 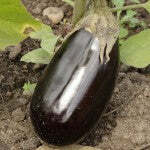 Eggplant – A good companion for amaranth, beans, marigolds, peas, peppers, spinach, and thyme. Do not plant eggplants near fennel. Fennel – Not a companion for any garden food plant, fennel will actually inhibit growth in bush beans, kohlrabi, tomatoes, and others. Plant it, but keep it out of the veggie garden. Fennel attracts hoverflies, ladybird beetles, parasitic wasps, and tachinid flies, so it's a kind of beneficial insect magnet. 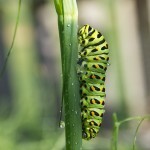 It's also an important food plant for swallowtail butterfly caterpillars. See also Companion Planting with Umbelifers. Gaillardia - This flower blooms over a very long period in summer, providing a rich source of nectar for a host of pollinators. Garlic – Planting garlic near roses will help to repel aphids. Because of its sulfur compounds, it may also help repel whiteflies, Japanese beetles, root maggots, carrot rust fly, and other pests. Garlic, made into a tea, or spray, will act as a systemic pesticide, drawing up into the cells of the plants. It’s a good companion for beets, Brassicas, celery, lettuce, potatoes, strawberries, and tomatoes. Avoid planting it near peas or beans of any kind. Iberis - This early flowering plant provides nectar for pollinators before many others, and it attracts hoverflies and ground beetles. See also Companion Planting with Umbelifers. 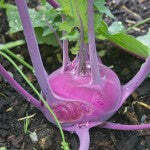 Kohlrabi – A worthy companion for beets, Brassicas, cucumbers, and onions. Avoid planting near peppers, pole beans, strawberries, and tomatoes. 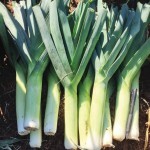 Leeks – Grow with beets, carrot, celery, onions, and spinach. Avoid planting near beans and peas. Leeks help repel carrot rust flies. Lettuce – Good companions for beets, Brassicas, carrot, celery, chervil, cucumbers, dill, garlic, onions, radish, spinach, squash, and strawberries. Lovage - Use lovage to attract parasitoid wasps and ground beetles. Oh, and you can cook with it, too. 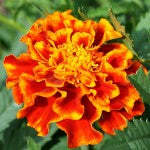 Marigold – French Marigolds (Tagetes patula) produce chemicals that repel whitefly, Mexican bean beetles, root knot nematodes, and root lesion nematodes. Avoid planting them near beans. Mexican Marigolds (T. minuta) have the same effect, and may repel rabbits. At the same time, they attract hoverflies and parasitoid wasps. 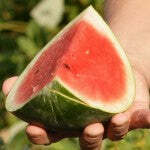 Melon – Great companions for corn, marigolds, nasturtiums, pumpkin, radish, squash, and sunflowers. Avoid planting near potatoes. Melon leaves are full of calcium, so they’re good for the compost heap. 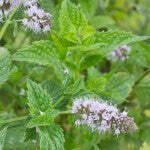 Mint – Mint attracts earthworms, hoverflies and predatory wasps, and repels cabbage moths, aphids, and flea beetles. Mint is invasive, so it may be better to use cut mint as a mulch around Brassicas, or to restrain it in containers around the vegetable garden. 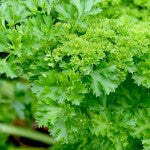 Avoid planting near parsley. Monarda (Bergamot) - This plant blooms in late summer, and is very attractive to bees, parasitic wasps, parasitic flies, and hummingbirds. Nasturtium – These plants make a good trap crop for aphids, and they deter whiteflies, cucumber beetles, squash beetles, Colorado potato beetles, and Mexican bean beetles. It is a good companion for Brassicas, cucumbers, melons, radishes, and tomatoes. Because they grow close to the ground, nasturtiums provide good cover for ground beetles and spiders. 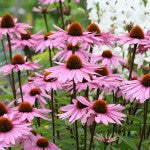 The flowers attract a variety of pollinators, and is good for the bees. Oats – They grow very quickly for quick tilling to add organic matter to beds, and work well when planted with clover or vetch. An excellent source of green matter for the compost. Onions – Plant chamomile and summer savory near onions to improve their flavour. 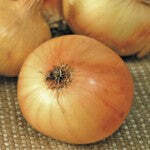 Onions also work well alongside beets, Brassicas, carrots, dill, kohlrabi, leeks, lettuce, strawberries and tomatoes. Don’t plant onions near asparagus, or peas of any kind. 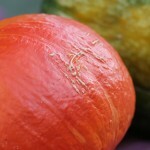 Onions help to repel the carrot rust fly. Oregano & Marjoram – Oregano is particularly good for repelling cabbage moths, and it can be planted between rows of Brassicas for this purpose. Also good around asparagus and basil. Parsley – Parsley likes asparagus, carrots, chives, corn, onions, and tomatoes. 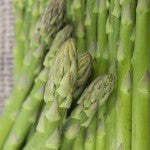 The leaves can be sprinkled on asparagus to repel asparagus beetles, and around roses, to improve their scent. 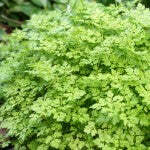 Let some of your parsley go to bloom to attract hoverflies and predatory wasps. See also Companion Planting with Umbelifers. Don’t plant it near mint. 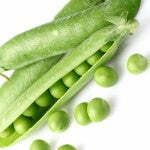 Peas – Superb companions for beans, carrots, celery, corn, cucumber, eggplant, parsley, peppers. potatoes, radish, spinach, strawberries and turnips. Avoid planting peas near onions. 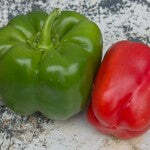 Peppers – Pepper plants make good neighbours for asparagus, basil, carrots, cucumbers, eggplant, endive, oregano, parsley, rosemary, squash, Swiss chard, and tomatoes. Never plant them next to beans, Brassicas, or fennel. 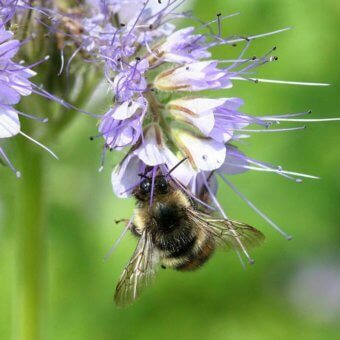 Phacelia — An essential element in any organic gardener's toolkit, this multi-purpose annual flower is fast to mature, and amazingly attractive to a host of pollinators and beneficial insects. 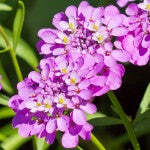 Notably, it attracts bees and predatory hoverflies to improve pollination and combat pest insects. Plant Phacelia around any crop showing poor pollination, particularly squash (including zucchini and pumpkin), melons, and cucumbers. Potato – Bush beans, celery, corn, garlic, marigolds, onions, and peas all do well planted near potatoes. Avoid planting potatoes near asparagus, Brassicas, carrots, cucumber, kohlrabi, melons, parsnips, rutabaga, squash, sunflower, and turnips. Radish – Plant radishes near beans, beets, celeriac, chervil, cucumber, lettuce, mint, parsnip, peas, spinach, squash, and tomatoes. 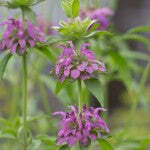 Avoid planting near agastache or potatoes. It is said that planting 3 or 4 icicle radishes around the mound where you plant squash, and allowing them to grow and bloom, will prevent most pests of squash and cucumber. 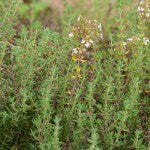 Rosemary – Rosemary is a good companion for beans, Brassicas, and carrots. 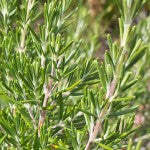 Rosemary repels cabbage moths, Mexican bean beetles, and carrot rust flies. 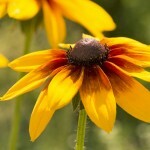 Rudbeckia - All varieties of Rudbeckia are attractive to hoverflies and parasitoid wasps. 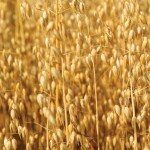 Rye – Fall rye gives off a chemical that inhibits the germination of weed seeds. This is known as allelopathy. Planted twice in a row, it can choke out several tough weed species for good. 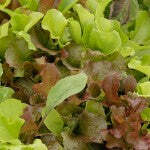 It produces masses of useful organic matter for tilling under or adding to the compost. 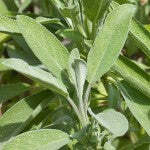 Sage – Sage repels both the cabbage moth and the carrot rust fly, so it’s a great all around companion plant in the vegetable garden. 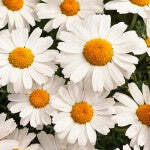 Do not, however, plant it near cucumbers, which are sensitive to aromatic herbs. 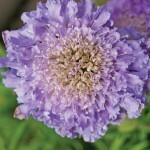 Scabiosa - This plant is naturally attractive to hoverflies and predatory tachinid flies, making it very useful for pest control in organic companion planting. 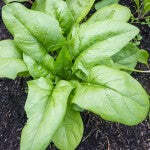 Spinach – A good companion for Brassicas, eggplants, leeks, lettuce, peas, radish, and strawberries, particularly. Don’t plant spinach near potatoes. Squash – Companions: corn, lettuce, melons, peas, and radish. Avoid planting near Brassicas or potatoes. Borage is said to improve the growth and flavour of squash. 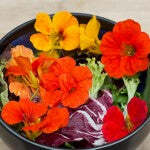 Marigolds and nasturtium repel numerous squash pest insects. 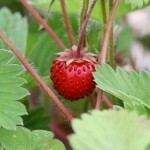 Strawberry – These little plants respond strongly to nearby plants. Couple them with beans, borage, garlic, lettuce, onions, peas, spinach, and thyme. Avoid Brassicas, fennel, and kohlrabi. 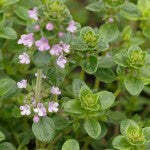 Summer Savory – This herb attracts honeybees, and repels cabbage moths. Planting it near beans and onions will improve the flavour of both. 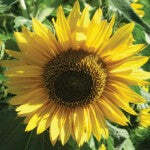 Sunflower – Sunflowers planted near rows of corn are said to increase yields. Use sunflowers as beacons to attract pollinators to other crops, particularly squash and pumpkins, and any other crop that requires insect pollination. Sunflowers are attractive to a host of wild and domestic bees, and also ladybird beetles, which prey on aphids. 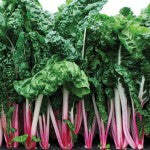 Swiss chard – Beans, Brassicas, and onions make the best companions for chard. 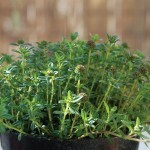 Thyme – An all around beneficial plant for the garden, thyme is particularly worth planting near Brassicas (as it repels cabbage moths), and strawberries, as it enhances flavour. 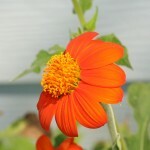 Tithonia - Plant this so-called Mexican Torch to attract parasitoid wasps, parasitic flies, and soldier bugs to your garden. They will act as a beacon for natural pest control. Tomatoes – Another sensitive plant when it comes to companions, tomatoes benefit from asparagus, basil, beans, borage, carrots, celery, chives, collards, cucumber, garlic, lettuce, marigold, mint, nasturtium, onion, parsley, and peppers. Avoid planting alongside Brassicas and dill. Corn will attract tomato pests, and kohlrabi will stunt tomatoes’ growth. Potatoes may spread blight to tomatoes, so keep them apart. Do no plant tomatoes near walnut trees. 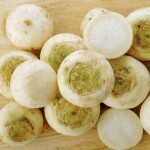 Turnip – Turnips are easygoing, but benefit from mint and pea companions. Vetch – Vetch has long roots that fix nitrogen in the soil, and provide masses of organic matter for tilling under. 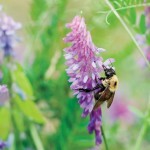 Do not let vetch go to seed, as it will come back strongly. The seeds are toxic to chickens. 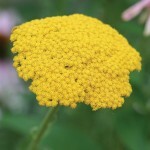 Yarrow – Its scent repels aphids, but attracts hoverflies, lady beetles, and wasps that prey on garden grubs. The leaves and stems of yarrow contain enzymes that break down rapidly, so it can be added to the compost raw or as a tea to accelerate the heap. See also Companion Planting with Umbelifers. * Since posting this list, we have been asked to clarify what we mean by "near" in terms of what makes a good or bad neighbour. This differs according to the context. 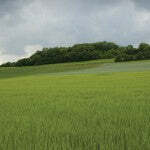 Plants that are said to repel pest insects need to be planted quite close to the crops they are meant to protect. 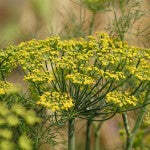 But plants like dill, that are generally attractive to predatory insects, can be planted anywhere in the garden. Meanwhile, when it comes to soil chemistry (an example would be Brassicas and potatoes) the acidic soil that potatoes thrive in can cause problems for some Brassicas. Damp, acidic soil can host club root, which can be a real problem for broccoli and Brussels sprouts. So you would not want to plant a long row of potatoes next to a long row of broccoli. By practicing routine Crop Rotation, you can provide the right soil conditions for the right crops, and avoid many soil borne diseases. Your feedback is very important to help us make our articles and instructions clearer. Please feel free to contact us for clarification at gardening@ westcoastseeds.com, and we will do our best to bring better depth to our guides so that all of our customers can benefit.